Have you ever attended a book launch party? I didn't know there was such a thing as a "book launch party" before I started writing this blog. But, in the past few years I have learned that these events are a big deal to an author/illustrator. I have also learned that as a fan of children's books I need to attend events like these to support the efforts and creativity of our children's authors and illustrators. Besides, it's a fun way to spend a few hours with friends and/or family. 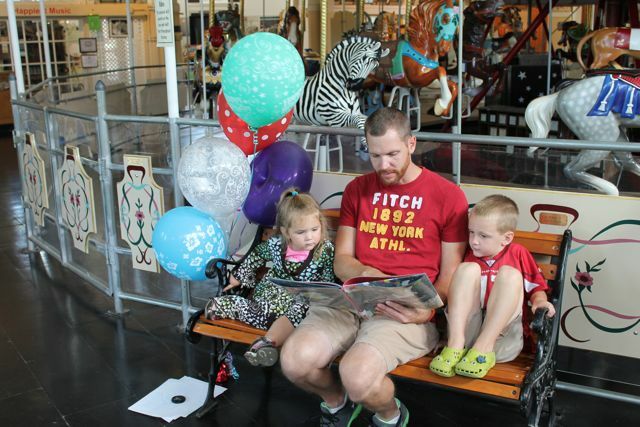 It can take years for an author/illustrator to publish a picture book. There are many different paths to publication and none of them happen overnight. 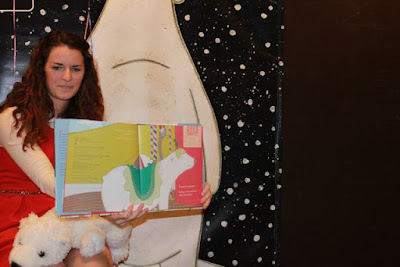 The author/illustrator's initial idea goes through many transformations before a reader holds the book in their hands. During the transformations the author/illustrator experiences a wide variety of emotions; excitement, frustration, worry, joy, exhaustion. The book launch party is a celebration of all the hard work the author/illustrator has endured during the process of publishing the book. The book launch party celebrates the end of the publication process, but it also marks the beginning of the marketing process. The author/illustrator endures all the hard work because they want their story to be read and enjoyed. The book launch party is a great way for friends, family, and fans to purchase a copy of the book for themselves or as a gift. A successful book launch party can help create a buzz that can inspire the author/illustrator as they begin to market their book. At a book launch party you will feel a buzz of excitement. 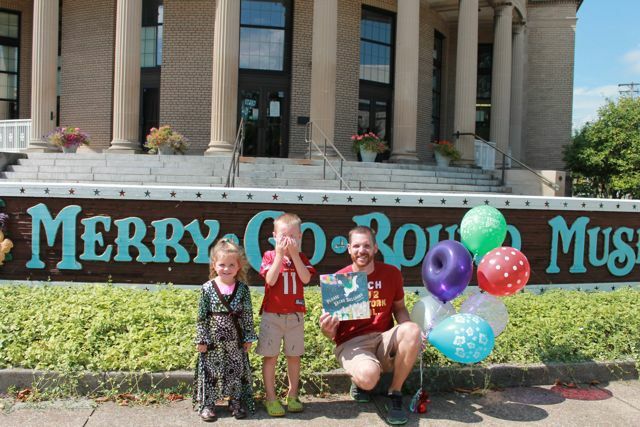 There's a new book, an excited author/illustrator, and hopefully lots of people attending. Additionally, there are usually activities for children, a book reading, and many tasty treats. It truly is a great time for everyone. 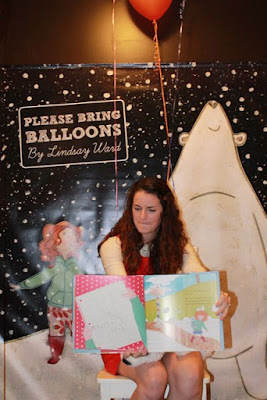 One of the first book launch parties I attended was for Lindsay Ward's picture book, Please Bring Balloons in 2013. I learned of the book launch party by following her Facebook page. (Following your favorite authors and illustrators on Facebook and Twitter are a great way to learn of upcoming events.) 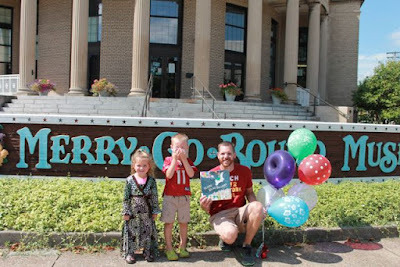 I was excited to take my children to the book launch party to meet Lindsay Ward because one year earlier we celebrated her birthday and they loved all of her books. The book launch party was at a local cupcake shop which was another reason I thought my children would love the event. Lindsay read her new book to large group of children and adults. I loved the book and picked up a copy as gift. It was a very successful event with many people supporting Lindsay. Quite some time later, I asked Lindsay how well the book did and she said it was one of her most successful picture books. 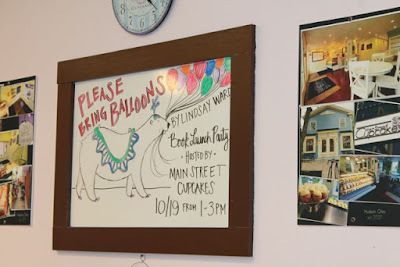 When I was planning our author birthday celebrations for the month of August I saw Lindsay's birthday on my calendar and I remembered attending the book launch for Please Bring Balloons. 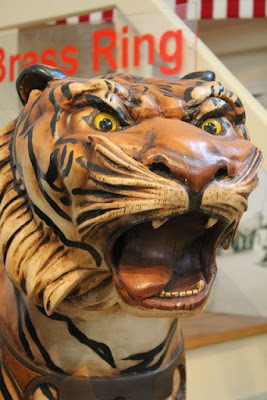 I remembered Lindsay reading the story about Emma who visits the Grand Carousel in the park only to discover a simple note under the saddle of the polar bear. The note reads, "Please bring" with a drawing of a balloon. Emma brings a red balloon with white polka dots the next morning. 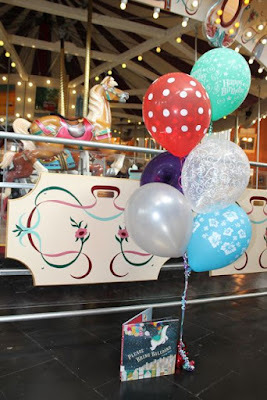 Upon returning in the afternoon the balloon is still there and so is another note that reads, "Please bring MORE!" with a drawing of a bunch of balloons. 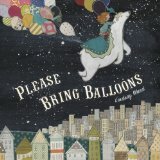 Emma brings more balloons and it was just what the polar bear needs to take Emma on an adventure she will never forget. 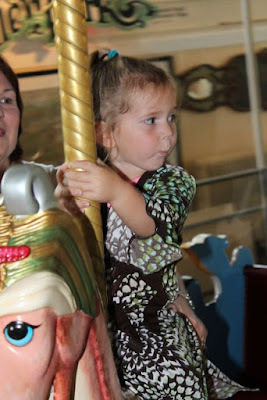 Please Bring Balloons incorporates two of my youngest children's favorite things; balloons and merry-go-rounds. 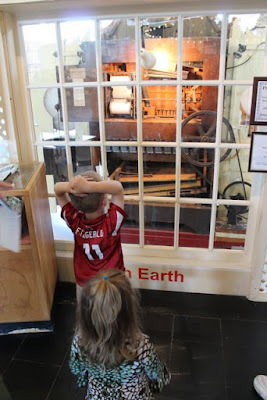 Last week, with my oldest two children off to school, it was the perfect time to go on an adventure of our own inspired by this wonderful book. First we needed balloons. My children and I picked out two balloons each. There were so many different colors, shapes, and designs of balloons to choose from. 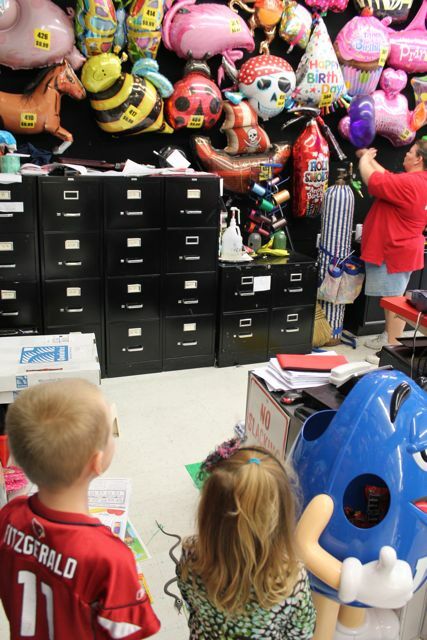 My excited children looked on as their balloons were filled with helium. My son picked a regular silver balloon and one that looked like a purple donut. 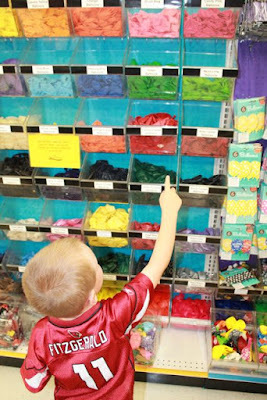 My daughter picked one blue and one clear balloon with floral patterns. 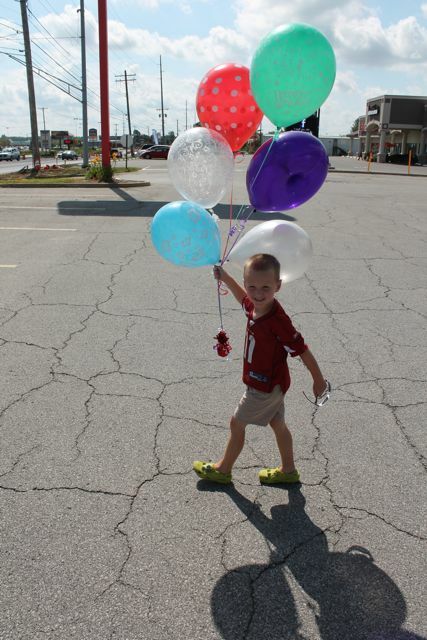 I picked a red balloon with white polka dots just like the balloon Emma first gave the polar bear in the book and a "Happy Birthday" balloon. 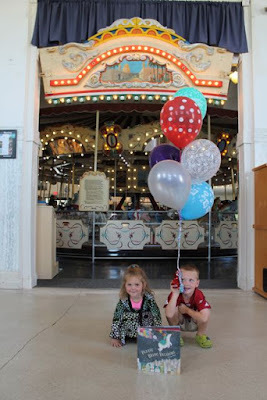 We took our balloons to the Merry-Go-Round Museum in Sandusky, Ohio. In 1988, the U.S. Postal service issued a series of postage stamps featuring carousel animals and one of the animals was a carousel horse from the Kiddieland Carousel at Cedar Point (also in Sandusky, Ohio). A celebration of the postage stamps and the carousel animals was held in an unused Sandusky post office building. 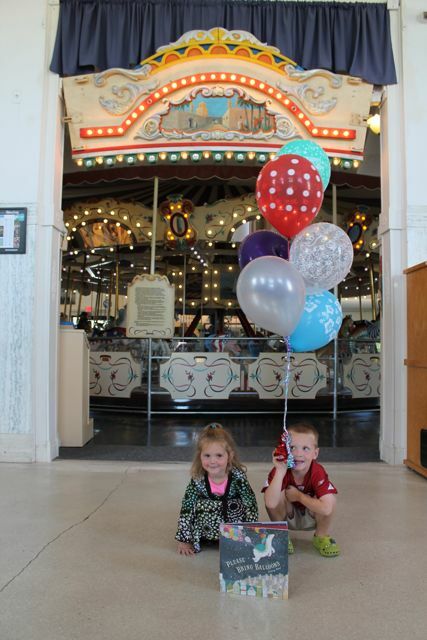 Over 2,000 carousel enthusiasts attended the celebration. 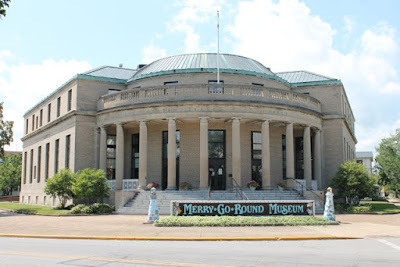 Two years later, the Merry-Go-Round Museum was opened in the same location. 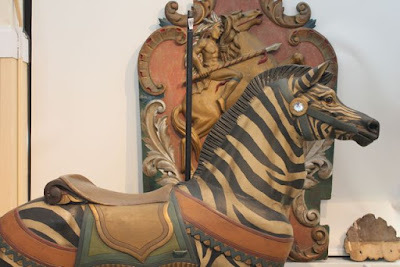 This year the museum celebrates its 25th anniversary of "preserving and promoting the art and history of the carousel." Carousel horses greet you as soon as you enter the building. 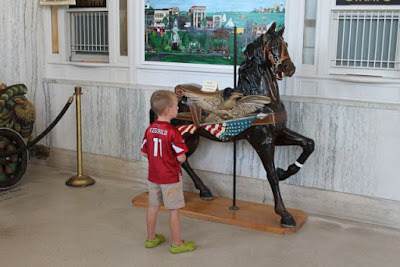 My son was drawn to the eagle carved on this carousel horse. Inside we did not find a polar bear carousel animal, but we did find a zebra. 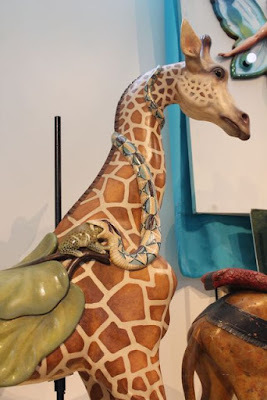 A giraffe with a snake around its neck and it is swallowing a frog! We learned about The Brass Ring that could be grabbed by a carousel rider to earn a free ride. This giraffe had eyes that followed you as you walked passed. 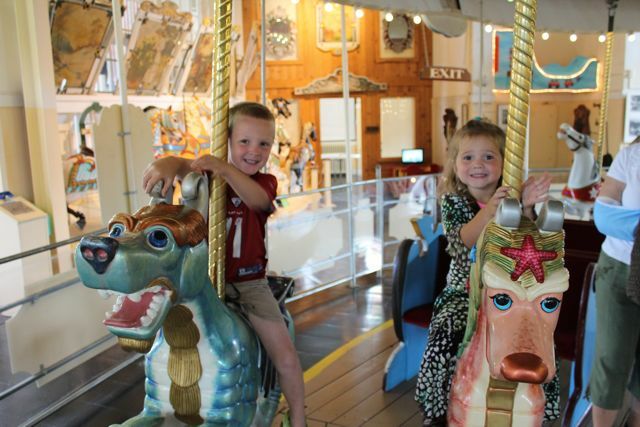 We learned that these carousel animals are very valuable. 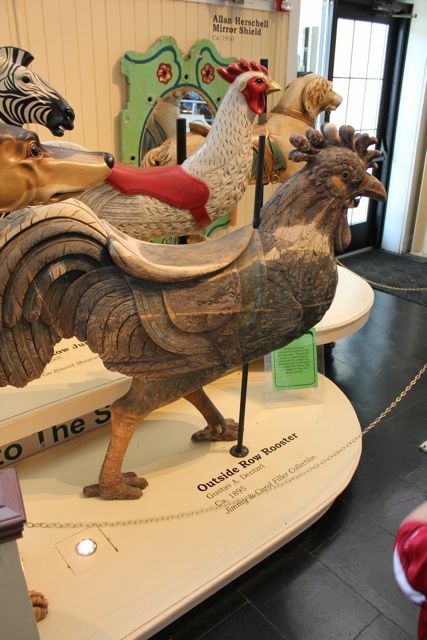 This rooster is insured for $400,000! 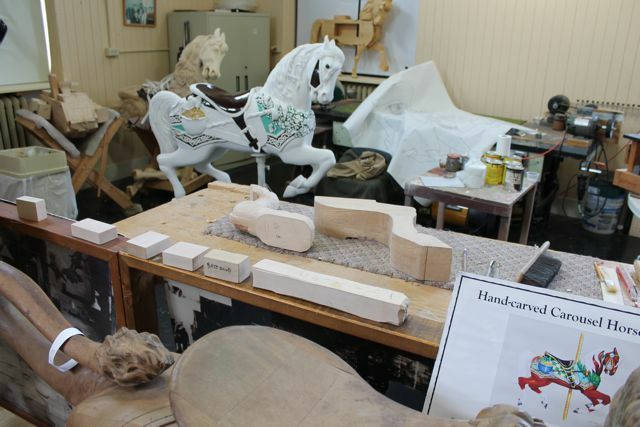 The museum raises funds each year by auctioning a hand-carved and painted carousel horse. 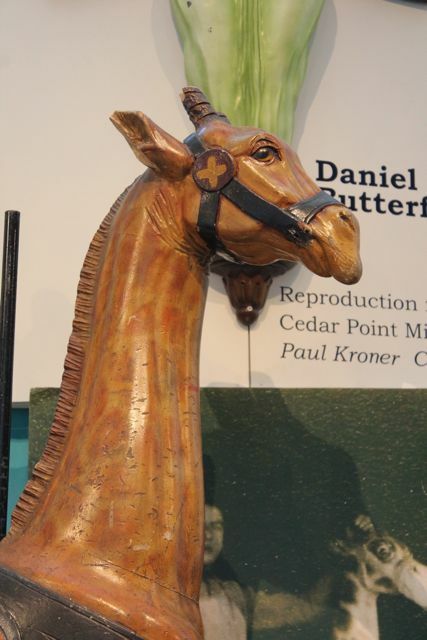 This year's horse is still a work-in-progress. 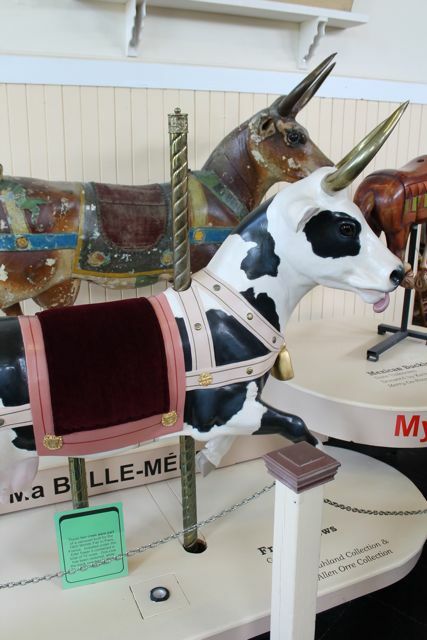 These two cows were actually on the same carousel made for the 1900 Worlds Fair in France. These were two of the 72 cows on the carousel under the Eiffel Tower. It shows the difference between the original and a restored version. Inside the museum is a fully restored Allan Herschell carousel. 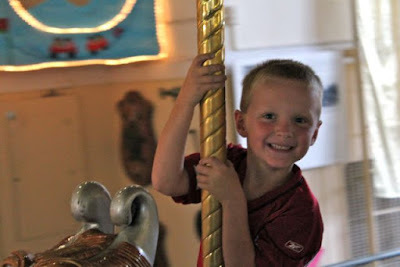 You get to ride the carousel with your paid admission. You can see grandma peeking over the shoulder of my daughter. Having her along on this adventure made it extra special. After riding the carousel, we read Please Bring Balloons. Before we left the museum we were treated to a song from this carousel music machine. I had no idea these machines were so complex. 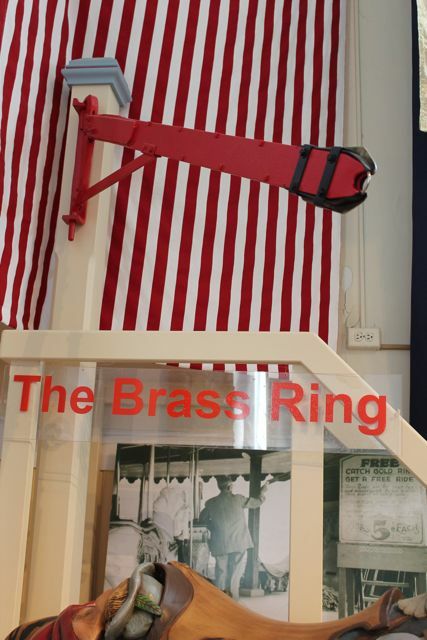 Inside are tons of hoses and bellows and wheels all working together make the music. We highly recommend a visit to Sandusky's Merry-Go-Round Museum and if you visit take along a copy of Lindsay Ward's Please Bring Balloons! The book launch party for Please Bring Balloons was two years ago. More recently Lindsay Ward has published a new book that is super cute and clever. My children really enjoyed, Henry Finds His Word which which was published in February 2015. Please check it out! 3. Where in the World is Blue? Blog - Follow where Blue goes next!